The best in food news and recipes you can trust. Bananas are so good for your muscles, but some weeks, we don't eat them fast enough, i.e. before the dreaded brown spots start popping up. Someone who will remain nameless doesn't like the taste or texture of a ripe banana. So usually, I just peel them and throw them in the freezer to be used for banana bread at some future time. But this morning I felt like bananas Foster, but didn't want to go to all the fuss. So I just made a simple caramel sauce to pour over the sliced bananas. Delicious! Only four ingredients, and in simple proportions so I can keep it in my head. Melt butter for 30 seconds in microwave in a 2-cup Pyrex measure. Add the brown sugar and evaporated milk, mix well, and return to the microwave for 30 seconds. Stir well, and return to the microwave for 15 seconds. 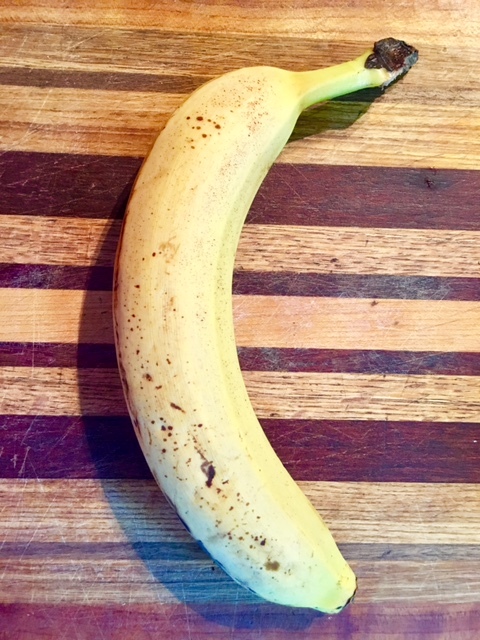 Serve over sliced ripe bananas and sprinkle with a pinch of salt. Enjoy! Share this post on Twitter, Facebook, etc. I love photographing the world around me, whether cooking, working in the yard or traveling. I reviewed cookbooks, and reported and photographed my trips and wilderness adventures for The Sacramento Bee newspaper, where I was a copy editor and page designer for 21 years. // I've been cooking for large groups of people since I was in college. // I love learning and writing about food, and bettering my photography skills. // I currently live in Charlottesville, VA. // Questions? Leave a comment or reach me at lkrichardson@me. com. Links for 2016-06-10 [del.icio.us] - - Sponsored: 64% off Code Black Drone with HD Camera Our #1 Best-Selling Drone--Meet the Dark Night of the Sky! © Lori Korleski Richardson. Picture Window theme. Theme images by dfli. Powered by Blogger.